Indulge in the height of Miami Beach luxury when you stay at Beacon Hotel on South Beach. Combining historic Art Deco aesthetics with chic, modern design, Beacon Hotel is positively dripping with glamor and Jazz-Age elegance. 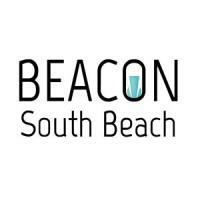 For a posh vacation, decadent romantic escape or glitzy weekend with the girls, Beacon South Beach tops the list of where to see and be seen in SoBe. From the moment you step inside our lobby, with its custom furnishings, Art Deco architectural features and original artwork, you'll see what makes the Beacon experience one-of-a-kind. Begin your night at our Mojito Bar for frosty drinks and mingling, grab a bite at The Place Restaurant, then head out to dance the night away in South Beach nightclubs. Just a step outside our door puts you in the middle of it all. First-class dining, world-renowned shopping and miles of the most desirable beaches anywhere are all just a short walk away. Plus, you're only 10 minutes from downtown Miami and 20 minutes from Miami International Airport. We're also not far from the classic splendor of Vizcaya, the bustling PortMiami and American Airlines Arena, home of the Miami Heat. Whatever your interests, there’s always something very special happening nearby that you’ll definitely want to experience, enjoy and remember. Deluxe King accommodation featuring elegantly styled Art Deco decor, plush bed outfitted with inviting linens, minibar, in-room safety box, premium Wi-Fi, beach chairs and beach towels, personalized temperature control, hairdryer, marble floors, room service, free local calls, Nespresso machine, and Smart TV. (Max occupancy 2). Complimentary Continental Breakfast, Complimentary Seattle's Best Coffee, and Complimentary access to NY Times digital magazine. Offer Not Valid on Fridays, Saturdays, or Sundays. (Valid Monday-Thursday only). Not valid during holiday periods and area special events (such as Art Basel, Fashion Week, etc). Cannot be combined with other offers and must be reserved as consecutive nights. Subject to availability by the resort at the time of voucher redemption. Voucher ID number is required upon booking and resort reservation policies apply. Vouchers are non-refundable and non-transferable and cannot be extended beyond the redemption period. Any applicable parking fees are not included in the auction. $40 (Resort Fee $20 per Day) and additional Daily Parking Fee $10 ( if applicable) (Rate subject to change and tax).